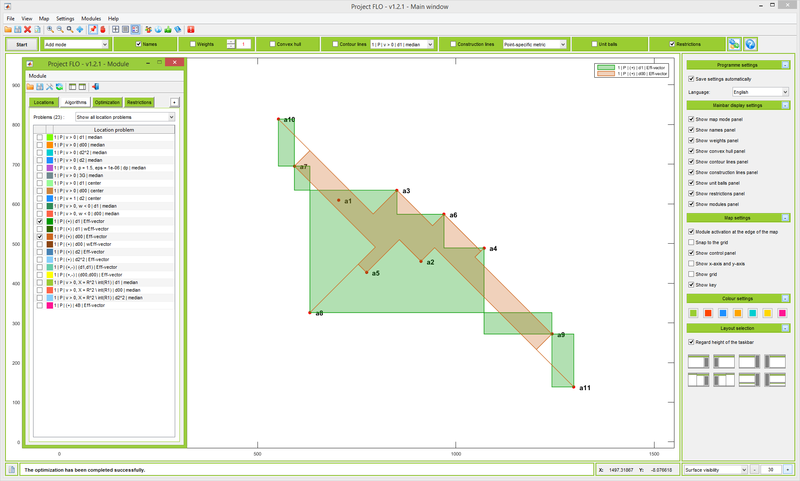 Project Facility Location Optimizer (Project FLO) is a research project created at the Institute for Mathematics of the Martin Luther University Halle-Wittenberg. The main purpose of the project is the development of a MATLAB-based software tool (aka FLO) for solving location problems. Development of the software started on March 01, 2011 and the first version of FLO (v 1.0.0) was released on April 22, 2015. The current version of FLO is 1.2.2 and was released on February 12, 2016. Download or find out more. Copyright © 2015-2019 Project FLO, All rights reserved.